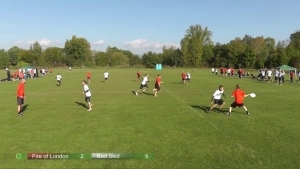 On 28th September 2012 in Frankfurt, the best 24 Open and 8 Women’s teams from around Europe stepped onto the field to decide who would be crowned European Ultimate Club Series Champions 2012. 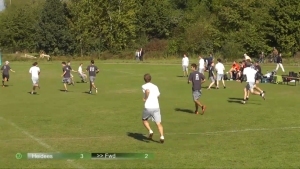 Push Pass were filming games from pitches 2-8 in HD, in total capturing 15 full matches from the exciting elite competition. By purchasing a subscription you can watch all these matches in full (with a scoreboard displayed), or you can purchase single matches individually – a subscription will be cheaper as you’ll want to watch more and more of these HD, top level European Ultimate battles! 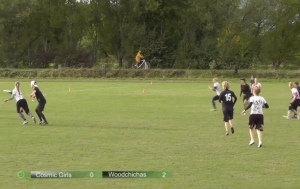 Viima from Finland play Woodchicas (DE) in the Women's Semi Final at EUCF2012. 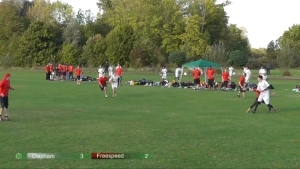 Clapham (UK) face Freespeed (SUI) in this group game from EUCF2012. 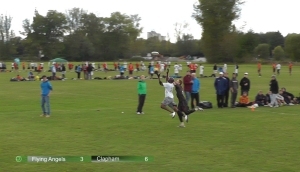 UK rivals Clapham and Chevron meet in the group stages of EUCF2012. 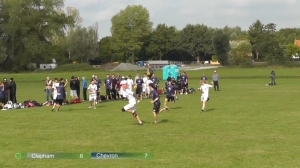 Chevron (UK) face Freespeed (SUI) in this group game from EUCF2012. 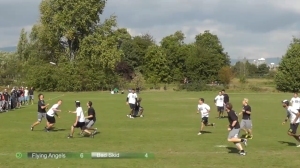 Fire of London (UK) face Bad Skid (DE) in the 5th place playoff at EUCF2012. EUCF2012: CUSB La Fotta v M.U.C. 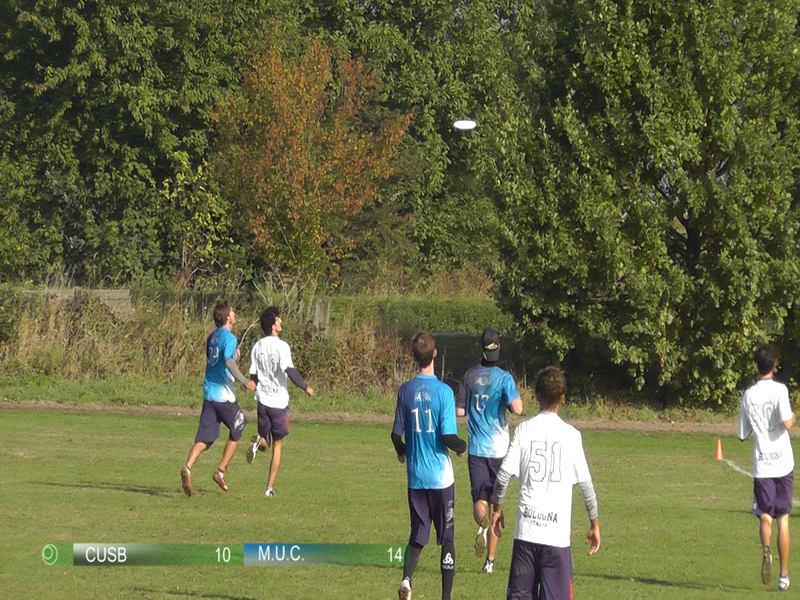 CUSB La Fotta (ITA) face Munich (DE) in this game to get into the top 8 at EUCF2012. 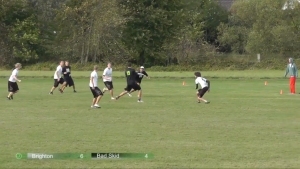 Brighton (UK) face Bad Skid (DE) in this game to determine who finishes top of their group at EUCF2012. 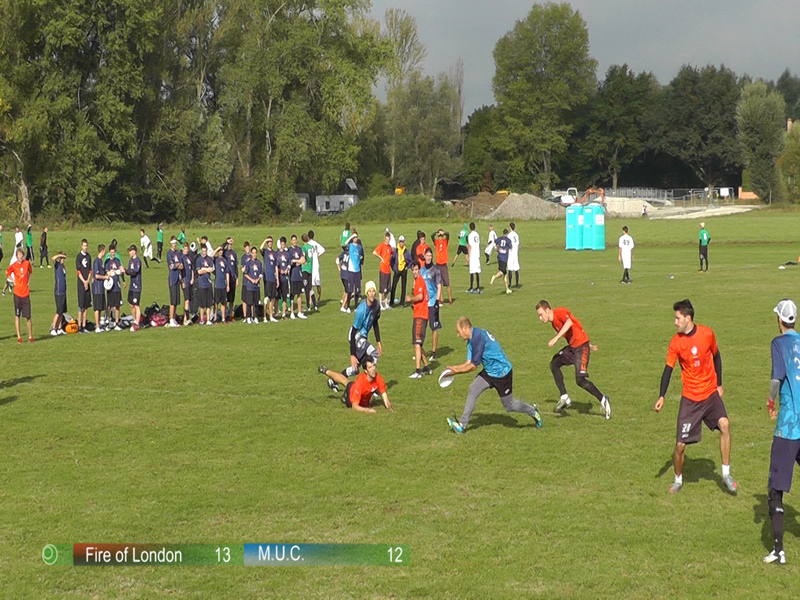 Fire of London (UK) take on Munich Ultimate Club (DE) in this sudden death thriller elite group game from EUCF2012. 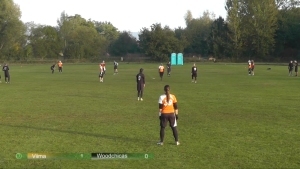 Cosmic Girls from Russia take on Woodchicas (DE) in this women's quarter final from EUCF2012. 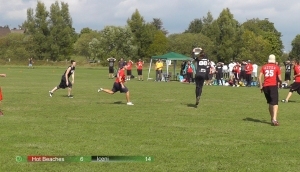 Heidees (DE) face Austrian team Fwd in the playoff for 19th place at EUCF2012. Hot Beaches (CZ) play Iceni (UK) in this group game at EUCF2012. 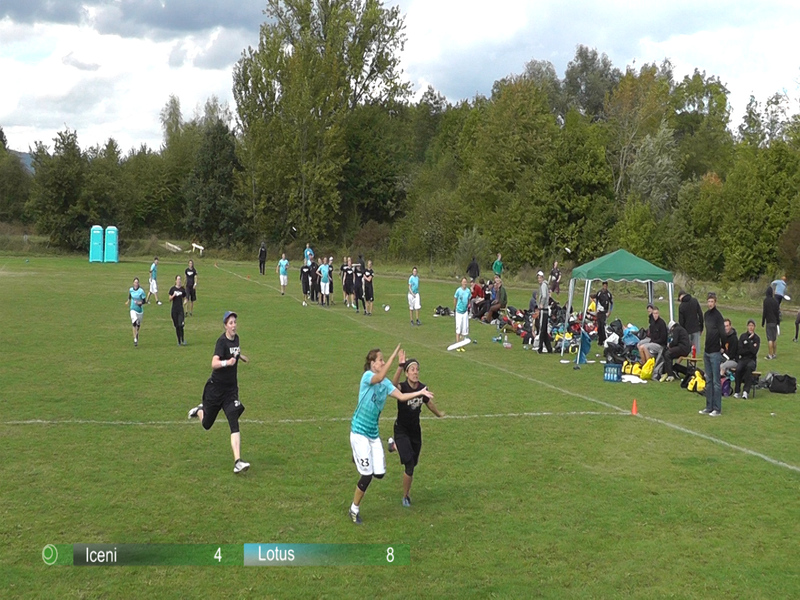 Iceni (UK) face Lotus (SUI) in this sudden death thriller from the women's group games at EUCF2012. Viima from Finland face Prague Devils (CZ) in this group game from the women's division at EUCF2012.